The LaGrange Art League welcomes into membership area professional and amateur artists and people interested in the appreciation of the arts. The Gallery, which highlights the works of our juried artist members, is a benefit of membership in the League. 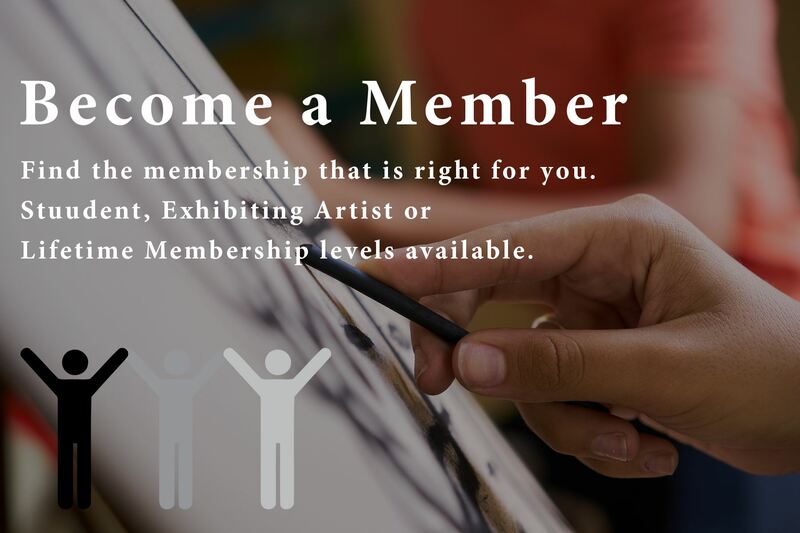 All members receive the Newsletter, Directory, Handbook, free admission to monthly programs, and discounts on framing materials (frames, mats and glass) and Studio classes. Juried Artist Members may exhibit in the LGAL shows in the Gallery and in various commercial and public buildings. Artists may also add a link to their personal website on the LGAL website. Members may schedule the upstairs classroom for open painting or other group projects when the room is not committed to regular classes. Members may also rent the Gallery for personal events. Upon joining the League, "Artist - Volunteer" members agree to volunteer in the Gallery a minimum of a half day each month they exhibit. Artwork exhibited for two months requires two (2) half days of volunteering (or may be served as one full day). More than this minimum is always appreciated. LGAL is a non-profit organization which is dependent on its volunteers. All members are urged to participate in any of the various areas of activity in order to get to know their fellow members and gain a sense of identification with the League. Click here to learn more about volunteering. Artist - Non Volunteer - $85.00 (USD) Subscription period: 1 year No automatically recurring payments Eligible to hang art in gallery (after jury process). No monthly volunteer requirement. Discounts on framing and classes. Monthly newsletter. Artist - Volunteer - $50.00 (USD) Subscription period: 1 year No automatically recurring payments Eligible for hanging art in the gallery (after jury process). Must volunteer 3 hrs/month when hanging. Discounts on framing and classes. Monthly newsletter. Lifetime Member - $500.00 (USD) Subscription period: Unlimited Lifetime membership. Eligible to hang in gallery (after jury process). No monthly volunteer requirements. Discounts on framing and classes. Monthly newsletter. Non Exhibiting Member - $25.00 (USD) Subscription period: 1 year No automatically recurring payments Receive discounts on framing and classes. Membership includes monthly newsletter.